On February 9, 1998, about 0954 central standard time (CST), a Boeing 727-223 (727), N845AA, operated by American Airlines as American Airlines flight AA1340 , impacted the ground short of the runway 14R threshold at Chicago O’Hare International Airport (ORD) while conducting a Category II (CAT II) instrument landing system (ILS) coupled approach. Twenty-two passengers and one flight attendant received minor injuries, and the airplane was substantially damaged. 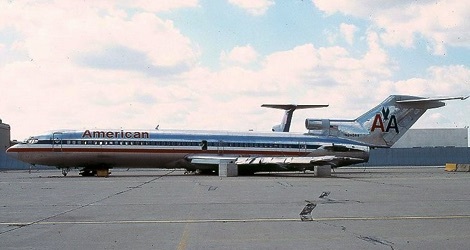 The American Airlines flight AA1340 was a scheduled domestic passenger flight under the provisions of 14 Code of Federal Regulations (CFR) Part 121, with 116 passengers, 3 flight crewmembers, and 3 flight attendants on board, was destined for Chicago, Illinois, from Kansas City International Airport (MCI), Kansas City, Missouri. Daylight instrument meteorological conditions prevailed at the time of the accident. The American Airlines flight AA1340 crew checked in at ORD about 1344 on February 8, 1998, for a scheduled 14:44 departure to MCI, the first leg of a 3-day trip sequence. The flight arrived at MCI about 1551, and the crew remained in Kansas City overnight. The flight crew checked in at MCI about 0700 on February 9 for the scheduled 0759 return leg to ORD. After the passengers had boarded, the flight crew of American Airlines flight AA1340 was advised by air traffic control (ATC) to expect a 1-hour gate hold because of poor weather conditions at ORD. The flight departed MCI about 0843. At 0923:55, while at 33,000 feet, the captain briefed the approach. The flight crew made initial contact with the west arrival controller at the Chicago Terminal Radar Approach Control (TRACON) facility at 0936:51 and advised that they had automatic terminal information service information X-ray, the most current airport weather advisory. The west arrival controller instructed flight 1340 to expect the runway 14R ILS approach and advised the flight crew that the current RVR for runway 14R was 1,600 feet at the runway touchdown point. The west arrival controller vectored flight 1340 southwest of ORD on a right downwind for runway 14R. At 0948:01, the west arrival controller instructed flight 1340 to intercept the final approach course at an altitude of 5,000 feet. At 0948:32, when flight 1340 was about 18 miles from the airport, the west arrival controller cleared the airplane for the ILS approach to runway 14R and directed the flight crew to maintain an airspeed of 170 knots until reaching ROAMY, the outer marker, located 5.2 distance measuring equipment (DME) miles from the runway threshold. At 0948:39, the flight crew acknowledged the approach clearance. At 0948:49, the west arrival controller again advised the flight crew that the RVR was 1,600 feet at the runway touchdown point. At 0949:08, the west arrival controller advised flight 1340 to contact the ORD tower and to report its position at ROAMY. At 0952:15, the flight crew contacted the ORD south local tower controller and advised that they were at ROAMY inbound. The controller cleared American Airlines flight AA1340 to land 2 seconds later and advised the flight crew that the winds at runway 14R were calm, with a touchdown RVR of 1,600 feet. At 0952:29, the flight crew acknowledged the landing clearance; this was the last transmission received from the flight crew. According to the CVR and postaccident pilot statements, the flight crew was executing a monitored approach, which required the first officer to fly the approach and descent to DH and the captain to take the controls at DH and land the airplane. The first officer stated that when American Airlines flight AA1340 was cleared to intercept the localizer (at 0947:44), he selected NAV/LOC on the autopilot. He stated that when they were cleared for the approach (at an altitude of about 5,000 feet), he selected AUTO/G/S (glideslope) on the autopilot and on the flight director. He stated that the autopilot system was tracking the localizer and glideslope normally and that the airplane was configured at 170 knots, with flaps set at 15º until ROAMY, when flaps were extended to 30º, and the airplane was slowed to 143 knots. He stated that he then concentrated his attention outside the cockpit to locate the runway environment. He stated that he saw the lead-in lights “somewhere between 200 feet and DH” and checked his instruments. The captain stated that the lead-in lights were faint but that he could see that the airplane was lined up on the runway centerline. He also stated that when he took control of the airplane, he “wriggled up” in his seat to see the lights better. The first officer continued to fly the approach until 0953:49, when the captain stated, “I got it” , as the airplane descended through 140 feet above ground level (AGL). The first officer acknowledged the transfer of control 1 second later. 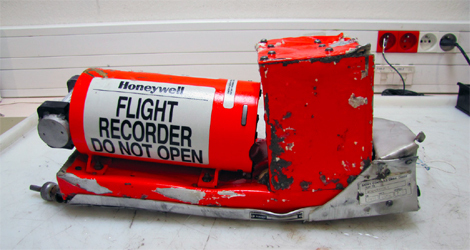 In postaccident interviews, the first officer stated that the captain “clearly took control” of the airplane. The first officer stated that after he made the 200-foot call, and sometime before reaching DH, he felt “a pitch down.” He stated that he was concentrating his instrument scan on the radio altimeter and that the autopilot was engaged at this time. The captain stated that the autopilot remained engaged throughout the cruise and descent phases of flight. He told Safety Board investigators that a lack of horizon cues and what he described as a “low runway light intensity setting” delayed his visual acquisition of the runway environment, and he noted that he wore his sunglasses throughout the descent and approach until touchdown. At 0953:52, the CVR recorded the “sound of a click,” consistent with the sound of the autopilot disconnecting, as the airplane was at an altitude of about 80 feet. The captain stated that he did not recall disengaging the autopilot and, that if it was disengaged, it was not done intentionally. At the same time, the CVR recorded the first officer call out, “one hundred [feet]”; a ground proximity warning system (GPWS) aural “sink rate” alert; and the flight engineer state, “nose up, nose up.” The captain stated that he then pulled back on the control column. At 0953:54, the CVR recorded a GPWS aural “thirty [feet]” alert and sounds of impact. 3.8 g vertical acceleration occurred at a time that is consistent with American Airlines flight AA1340’s impact with the ground. The first officer stated that he did not recall hearing a missed approach call; however, he stated that the captain added power and pulled back on the control column to arrest the sink. The first officer stated that the airplane “hit harder than a hard landing,” bounced, and hit again. 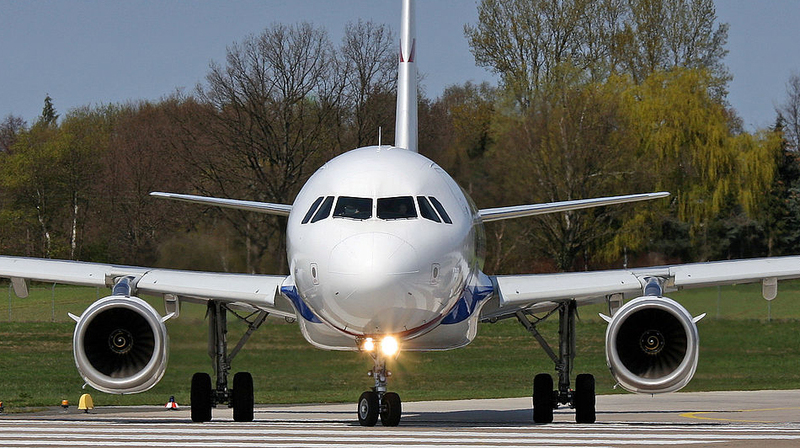 The National Transportation Safety Board determines that the probable cause of this accident was the failure of the flight crew to maintain a proper pitch attitude for a successful landing or go-around. Contributing to the accident were the divergent pitch oscillations of the airplane, which occurred during the final approach and were the result of an improper autopilot desensitization rate.